Greybrook Realty Partners Inc. is pleased to announce the successful deployment by its managed issuer of $17,785,000 in equity to acquire a property located at 101 Yorkville Avenue, Toronto, Ontario. The property, which is co-owned with First Capital Realty Inc., is expected to be redeveloped into a luxury retail development. First Capital will act as development, leasing and property manager for the retail project. Yorkville is known for its combination of upscale boutiques, dining and entertainment and it is a premier luxury retail destination featuring prestigious international brands. The Yorkville neighbourhood is experiencing a surge in interest as global luxury retailers, who are looking to expand into the Canadian market, seek alternatives to Bloor Street West. Recently executed leases with international brands ChanelTM and Christian LouboutinTM are indicative of the transformation currently underway in the area’s retail landscape towards a more ultra-luxury tenant mix. First Capital Realty is a leading owner, developer, and property manager of retail properties across Canada that has significant presence in Yorkville. 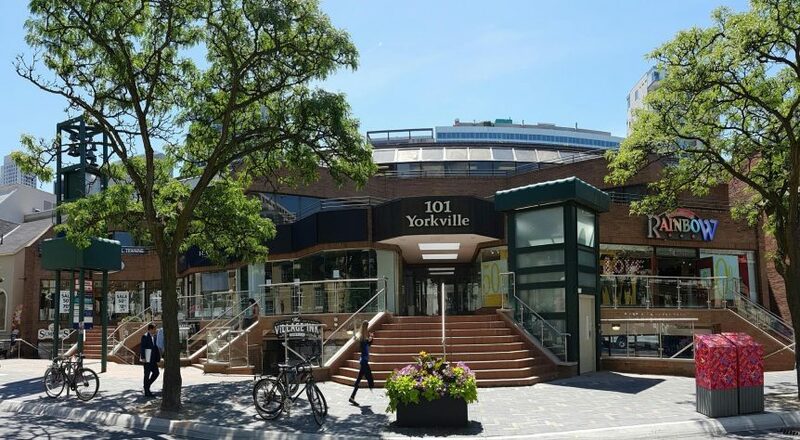 “With major investments in Yorkville, including the newly revitalized Yorkville Village, First Capital’s ability to redefine the Yorkville retail experience aligns nicely with our overall vision for the area. We are thrilled to be partnering with First Capital and look forward to a long and successful partnership,” commented Mr. Politis. This transaction represents Greybrook’s fourth project in Yorkville and further strengthens the Company’s strategic investments in the area. These investments have a total projected aggregate and actual completion value of approximately $900 million. Click to read the press release on Globe Newswire.